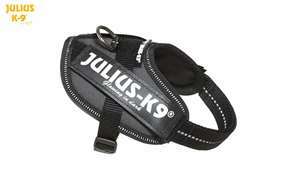 Prague Ratter - Julius-K9 harness size Baby 1 - Las Vegas K9 Inc. The Prazsky Krysarik is said to be the smallest breed in the world. The chest is broad, but not at all deep and descends only partly to the elbows. It has a lean, delicate body, which is covered with thin skin. The neck is moderately long and narrow, supporting its delicate head. The muzzle is narrow and fox-like, with straight but crowded teeth. Its coat is short with very thin, glossy fur. Coat color is mostly black and tan. 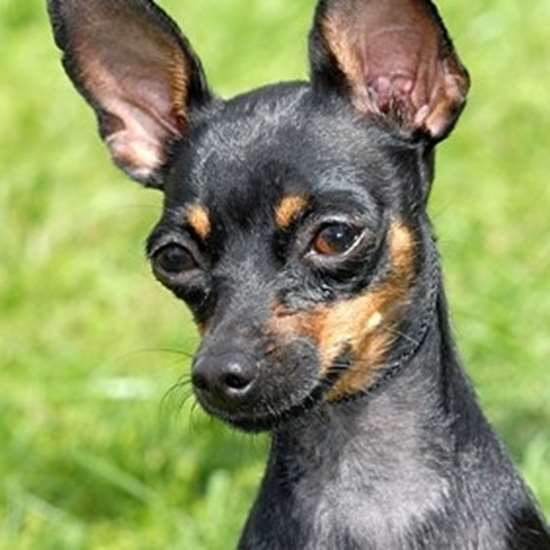 The Prazky Krysarik is 2 cm shorter in maximum height than the Miniature Pinscher is in minimum height. Best known for its active and lively nature, the Prague Ratter is a spunky breed that is full of original character. These tiny dogs thrive on strong and dependable relationships with humans, love to receive affection and play the role of lap dog during down time. This breed is highly intelligent and generally responds well to basic training and commands. As a pet, the Prague Ratter is obedient, loyal, loving, and very affectionate. The Prague Ratter adapts well to full-time indoor and apartment living, yet still enjoys spending time outdoors, playing games such as fetch, and taking long and leisurely walks. They are also known to be a very quiet dog unlike many other small dogs who tend to be very "yappy". Like any small dog one should be wary of allowing them to develop Small Dog Syndrome as they can become aggressive if they are not well-socialized from an early age. Chihuahua, Prague Ratter, Russian Toy Terrier, Taco Terrier, Toy Fox Terrier. 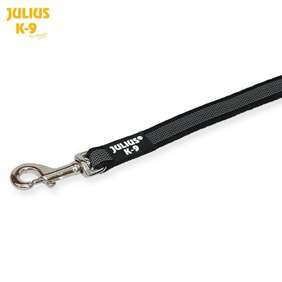 -Girth: 11.5 - 14 inches, weight: 1.75 - 6.5 lbs. -2 days shipping from stock! -Returns available within 14 days! For detailed description scroll down! To choose your preferred color, simply click on the icons below! Click on the dog icons below to choose other sizes! 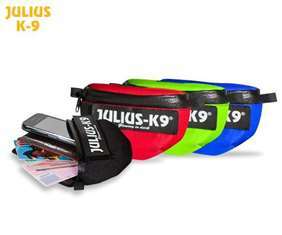 Julius-K9 IDC Powerharness - Baby 1 - New colors! -Girth: 11.5 - 14 in. -Weight: 1.75 - 6.5 lbs. -2 days shipping from stock IF YOU CHOOSE PREMADE LABELS! -If you choose custom labels the patches will be shipped separately in 2 weeks! For detailed description scroll down! The phosphorescent velcro label (4.3 x 1.2 in) is an accessory of the sidebag. Let us save you $18! 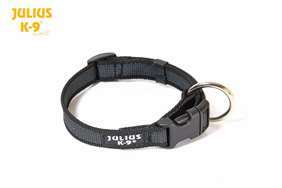 Buy a harness and choose a WARRANTED GIFT! Vendor Registration - Las Vegas K9 Inc. IMPORTANT! Right sizing and adjusting! Copyright © 2019 Las Vegas K9 store. All rights reserved.